Your skin will feel like it had a walk on the Moon after just one try! This gravity-defying device will effortlessly balance and deliver energy to where your skin tissue needs it most. As we age, our skin’s ability to charge those particles that assist with skin-cell turnover greatly reduces. The answer? 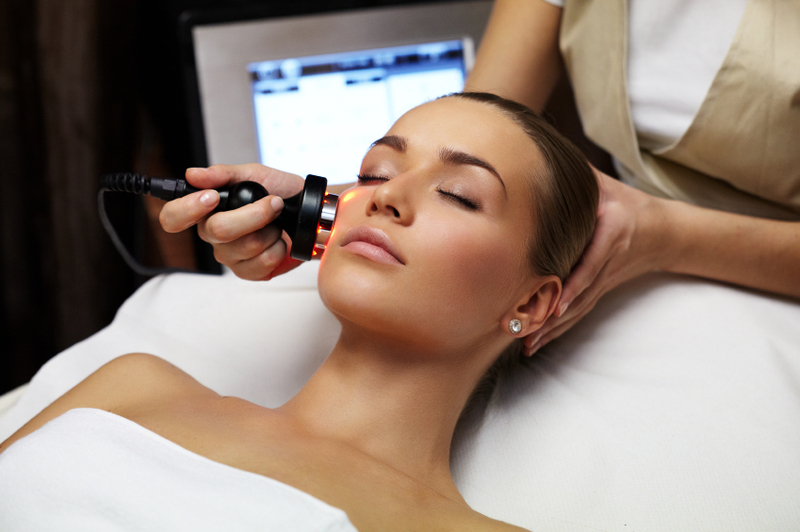 A gentle and non-abrasive procedure that stimulates the “inner-energy” of our skin’s molecular structure. ABM-RF stimulates new collagen elastin, the “magic-bullet” which promotes anti-aging and healing and tighter skin texture. Lymphatic drainage process helps to loosen and eliminate toxic fluids from the tissue. Free radicals and tissue oxidation, considered the principal factors of cellular aging, don’t have a fighting chance against this mode of treatment. Best to apply this modality after a Diamond -Tip MICRO-DERMABRASION treatment is performed coupled with our Custom Blended SERUMS, to achieve the maximum results. Amazing and visible results are seen at very first treatment but multiple and lasting treatment series of 4-6 at 7-10 days apart.